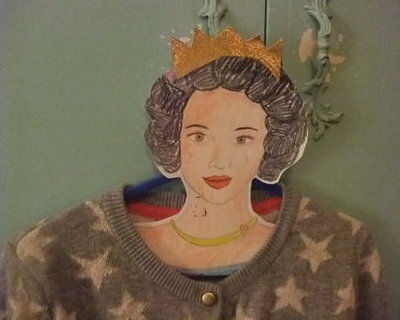 This is a fun way for girls to personalize their clothes hangers: DIY princess hanger. 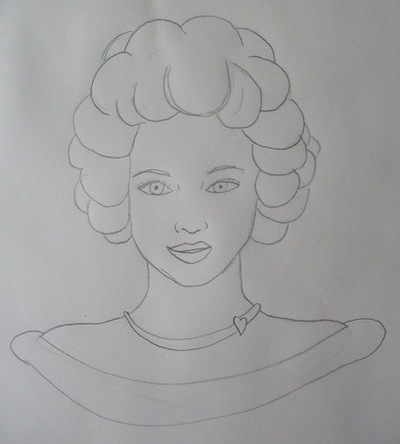 On a piece of A4 cardboard, draw out your princess. 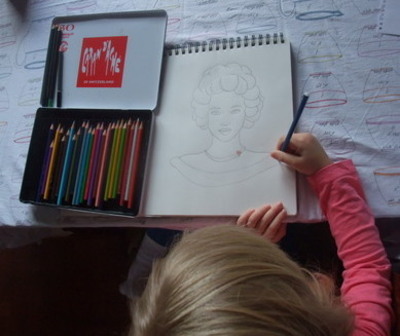 With coloured pencils/ crayons/ textas leave girls to colour in their princesses. 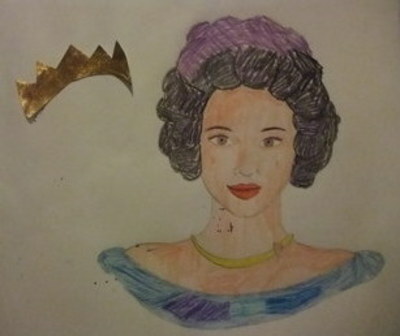 With gold crepe paper cut out a crown and glue to princess. 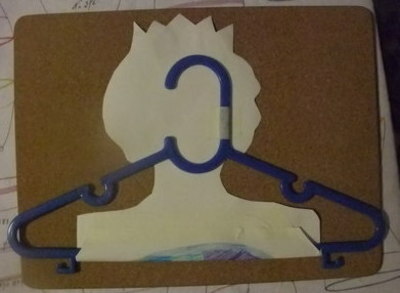 Cut out princess, leaving cardboard at the bottom to fold over the base of the clothes hanger. 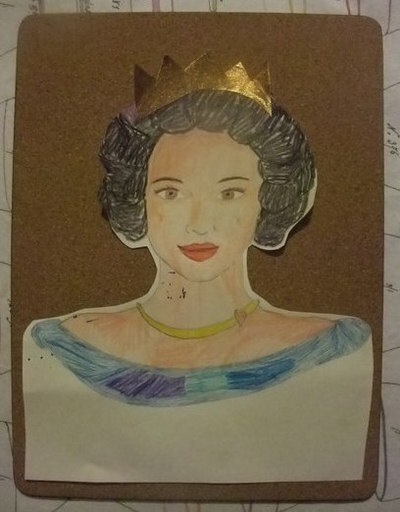 Secure princess to plastic with sticky tape. 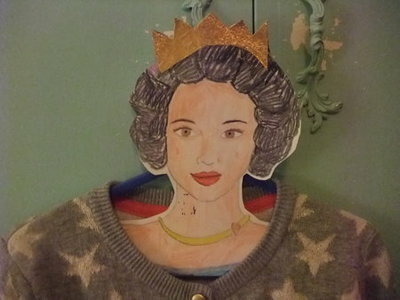 Add girls clothing to hanger and enjoy.